February 15, 2016 (Toronto, ON) - We invited Neil to be a guest speaker at the Genumark national sales meeting. He was fantastic! Abundantly insightful, empathetic, relatable and motivational. As a former top executive for leading supplier and distributor companies, Neil has a unique perspective from both sides of the industry equation. His presentation was enjoyed equally by new members of our team as well as savvy veterans who continue to learn and grow. I believe that any distributor or supplier will thoroughly enjoy and benefit from Neil's pearls of promotional wisdom. December 21, 2016 (Vancouver, BC) - A global leader in designing high performance, technical apparel, bags and accessories for the promotional products and retail markets, STORMTECH has announced a new partnership in the USA with Neil Piitz, President of Differenciate Consulting LTD.
A seasoned executive with diverse experience and a proven track record in the promotional products industry, Neil will work closely with the STORMTECH USA Management team with a primary focus on growing strategic segments of the Key Account business in the United States. “We are very pleased to form this strategic partnership with Differenciate Consulting LTD. Neil’s knowledge and expertise, combined with STORMTECH’s diverse capabilities and product innovation, will help the company continue to grow and develop this critical segment of our U.S. business.” said Sean Annable, STORMTECH’s Director of Sales for North America West. Chris Turner, Director of Sales North America East added, “Neil brings a wealth of industry experience and a strategic network of industry relationships to the table. We couldn’t have partnered with a better consulting agency to help build on the existing infrastructure already in place." January 4, 2017 (Toronto, ON)​ - Neil ran a very engaging breakout workshop for my sales team recently. Great story teller, very entertaining but most of all, very knowledgeable. His message hit home & my team is now highly motivated to achieve their goals. I would recommend Neil highly, and I plan to engage his services again in the near future to help me in other areas of my business's. Copyright © 2019. 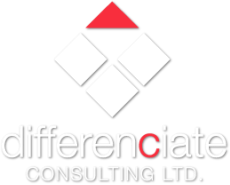 Differenciate Consulting LTD.